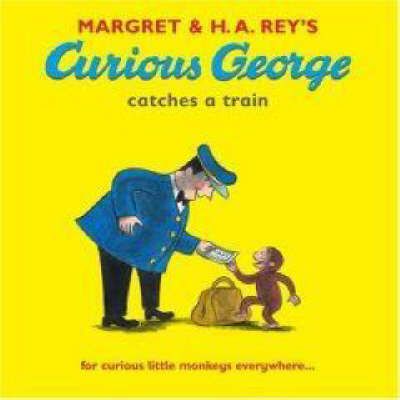 Curious George's chaotic adventures continue when the inquisitive monkey pays a visit to the train station in this young, fun picture book. George, the man with the yellow hat and Mrs Needleman are at the train station to catch a train to the country. George becomes curious when he sees the station-master moving numbers and letters on a big sign and thinks he can be a big help. In the chaos that follows, a boy nearly falls on the train tracks chasing his toy engine, but George saves the day and gets to ride right up front!